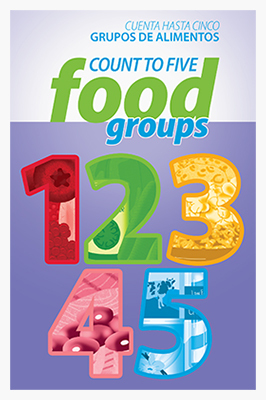 Count to Five Food Groups teaches families about the benefits of eating a balanced variety of healthy foods. 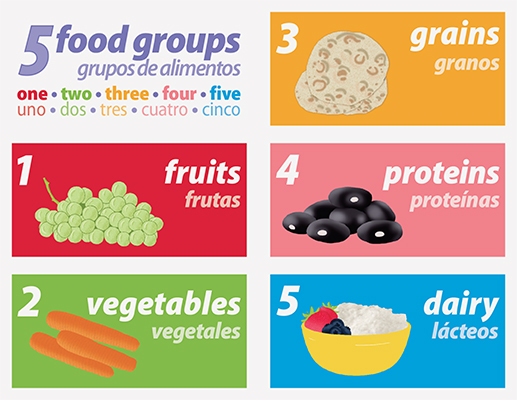 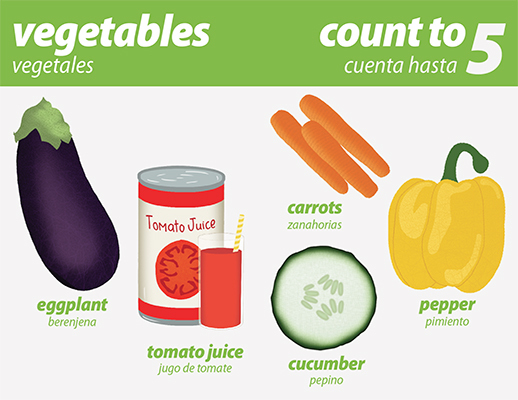 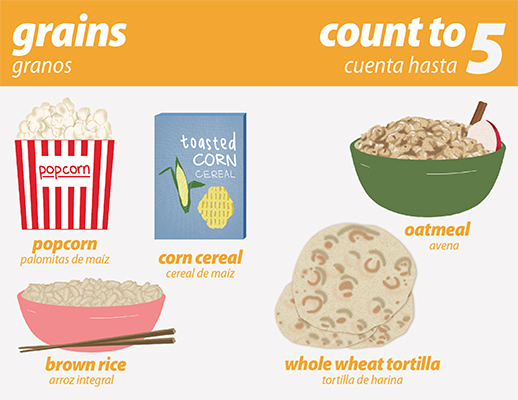 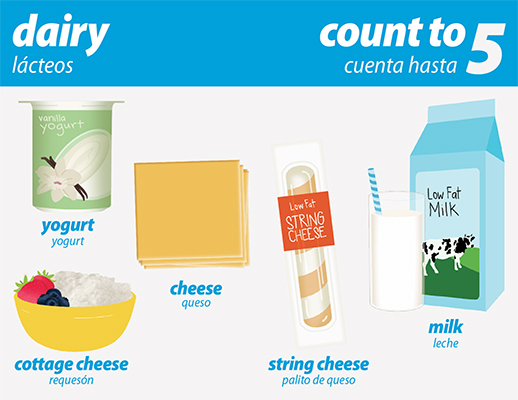 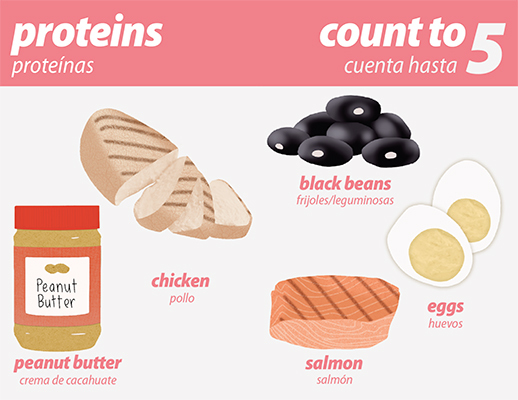 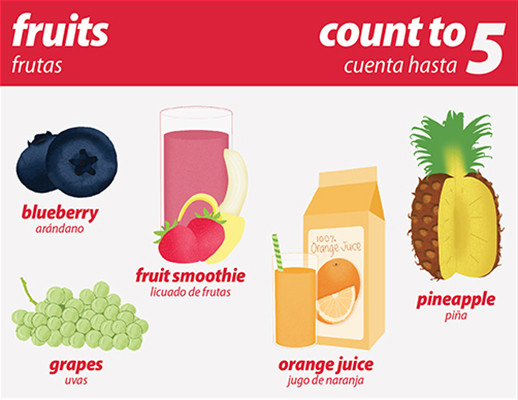 Children learn counting to five, healthy foods in each food group, and English and Spanish words. 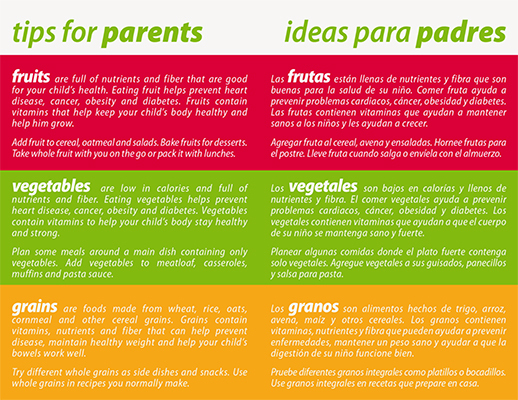 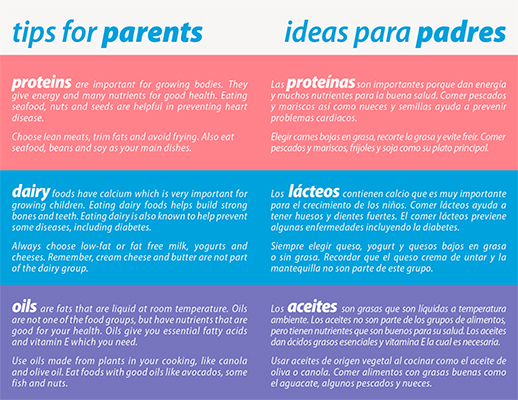 Information for parents includes healthy eating tips and benefits of the 5 major food groups.